One photo can say a lot more than many words. That is why I have decided to start a new topic with my favourite travel-photos. Every time I will focus on a different thematic and every time I will make a top 10 of my own photos. 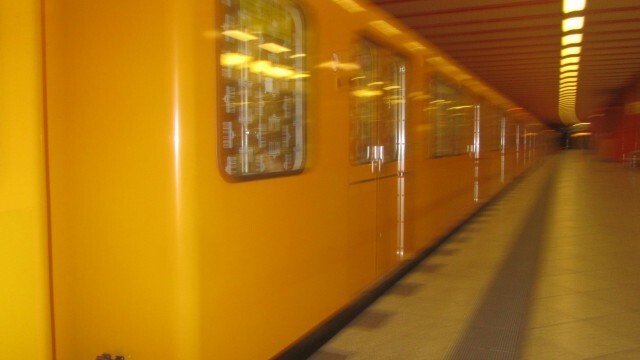 So between all the Berlin-articles you will once in a while find a travel-photo-article. Today we start with my favourite photos of all. This does not really have to mean that they are the best from a photographers point of view but they are my favourite. This obviously is highly correlated with the specific moment, the company I was with and the ambiance of the location. Still I really hope you like my selection with travel-photos from Australia, Ghana, Thailand, Laos and some other countries. Mole National Park was Ghana at its best. In my article about Ghana you can read how verstatile Ghana is and how the country has many different faces. 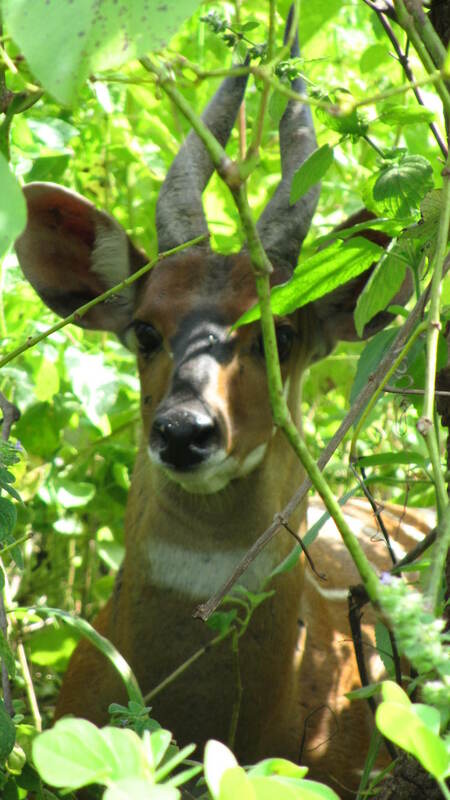 In Mole National Park I was suddenly confronted with this beautiful animal and we both were kind of surprised. But I was able to snap the photo and I consider it as my favourite. If you will ever visit Cambodia, you have to visit the coast in the south and especially the town called Shinoukville. 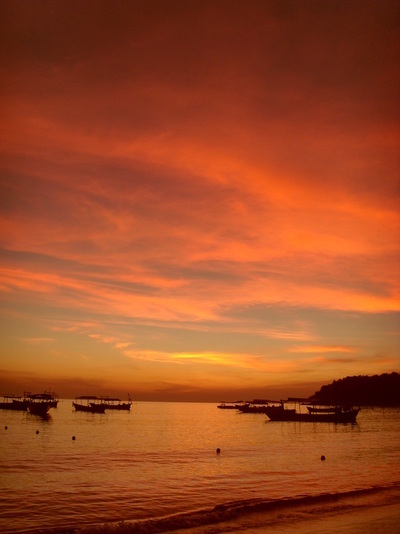 This town offers some leisure-time for tourists and backpackers and has very awesome sunsets. You can just lay on the beach and watch the boats float by with the beautiful red sky in the back. 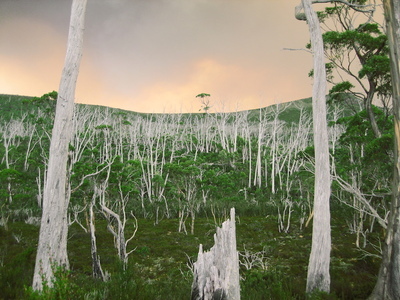 This picture was taken on the small island of Tasmania in Southern Australia. In this article you will realize sooner or later that I am big fan of travel-photos with nature and landscapes.. This is one of these pictures I can just keep staring at. The colours and the deepness of this photos are awesome in my opinion. If you have been traveling in Asia for a while you know you can find a Buddha in every region. The statues are great but after a while you have seen quite enough of them. But this Buddha in the Ayutthaya Historical Park is an exception. 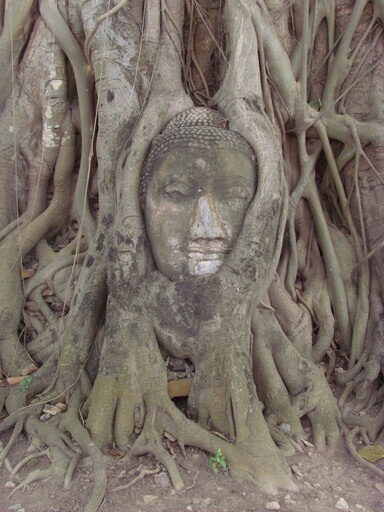 The big tree stands in the beginning of Wat Mahathat and is one of my favourite travel-photos from Asia. A special Buddha and a special photo. Australia has so many spectacular spots that it is hard to be surprised after travelling around for 10 months. 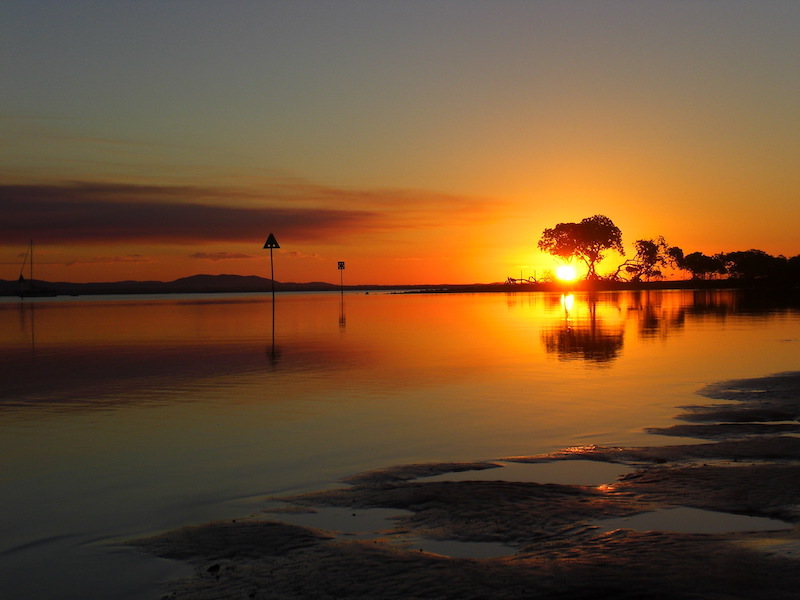 But still this sunset somehow catched me in one of my last trips in Australia. The town called Town of 1770 was not very spectactular but the sunset blew our mind. We just sat down and enjoyed the moment. One of my favorite sunsets and travel-photo ever. I wrote a full article about Angkor Wat because it is just one of those Must-See places for every traveler. If you ever fly to Bangkok, I almost want to force you to make a trip to Cambodia because the country is wonderful in so many ways. 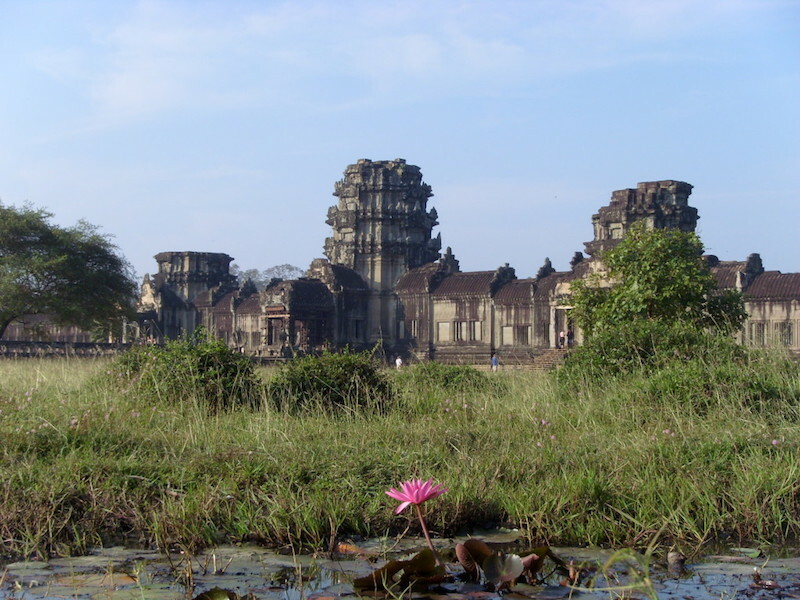 This travel-photo I like a lot because of the contrast between the flower in the front and the temples of Angkor Wat in the back. Travel photos of Asia are extremely difficult to compare with the great nature in Australia or the an impressive country like Ghana. But a little variety in the top 10 travel-photos is fun so that’s why I have chosen many different countries. 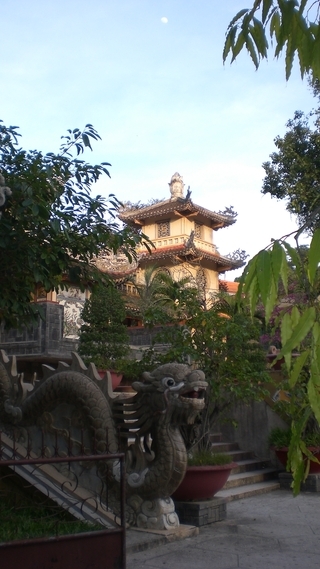 Vietnam is a very beautiful country with many temples and awesome beaches. These temples can be found in Saigon which we visited later in the day so you can even see the moon at the top of this photo. 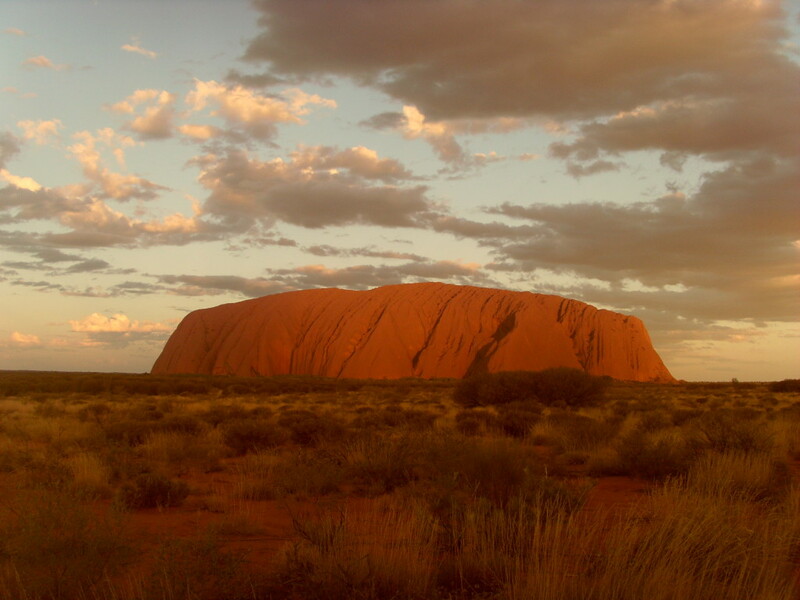 This travel-photo might be a bit of a cliché but travelling to Ayers Rock is simply an experience in itself. The whole venue and surroundings give you this special feeling, partly because it is located in the middle of the desert. There is little noise and at night you can enjoy more stars than you can see in one month in Berlin. Even though it is cliché, everyone who goes to Australia should still visit this beautiful place. This is a completely different kind of travel-photo but it remains one of my favorites. Old people always have something beautiful, especially when you can see that they have lived a hard life. 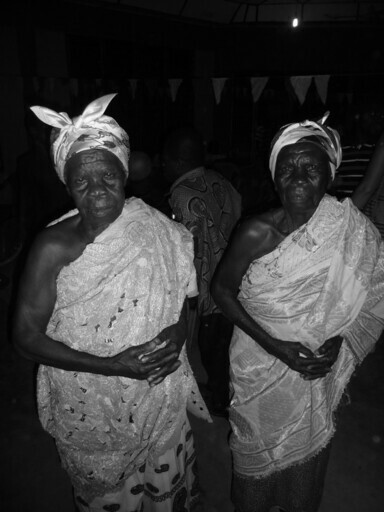 On this photo you see some old ladies I met in Offinso, a small town in the center of Ghana. Although they do not look friendly they were very friendly and beautiful as well. This picture just had to be in my top 10 travel pictures because it is definitely one of the coolest days of my trip. 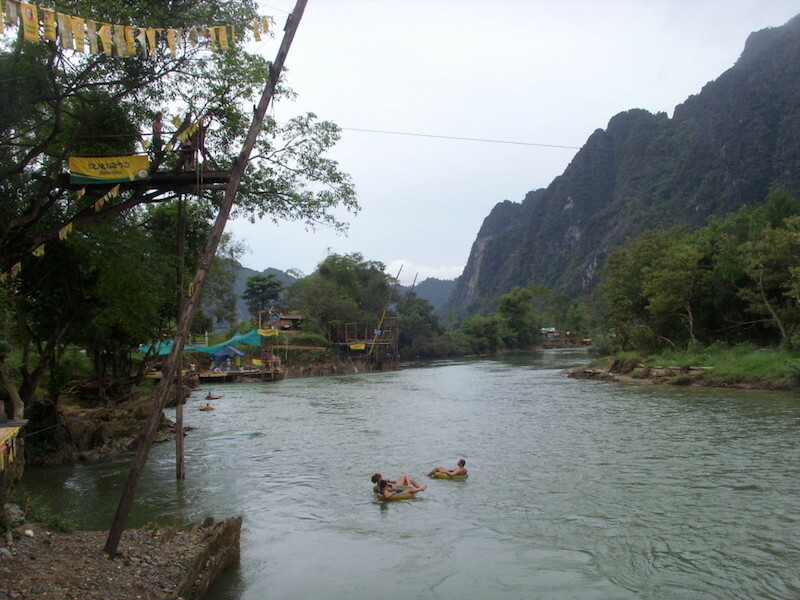 Tubing is the attractions of Vang Vieng in Laos where you go with a car-tire down the river and get free drinks everywhere along the way. Although a lot of fun, it is also very dangerous and people died before. But nothing bad happened to me that day and I still love the memory of this travel-photo so much that I just had to add it to this list.